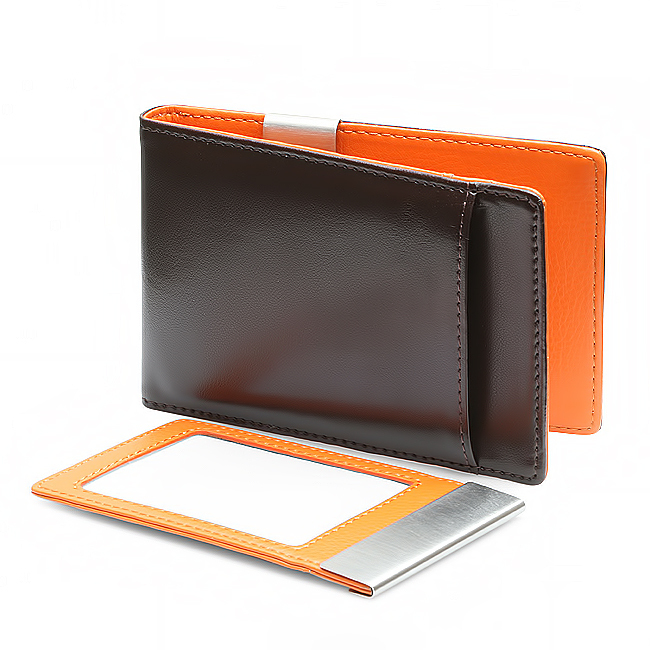 For the professional who wants a place for everything, without the look of a bulky wallet, the Big One is the perfect choice! 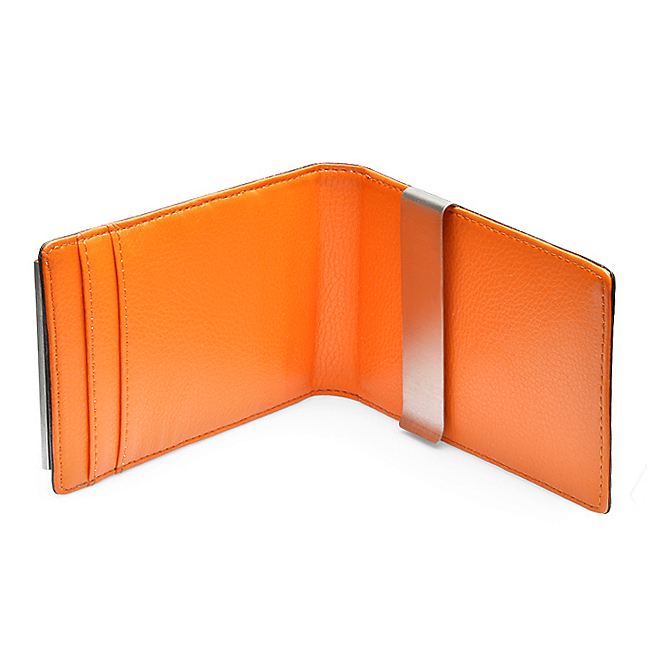 It is made from genuine leather with a rich brown exterior and rust interior, and is the size of a slim bifold wallet. 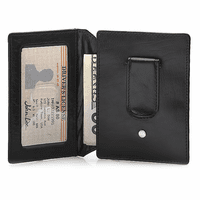 A pocket on one side holds a removable ID window for showing and protecting your driver's license, and inside are 3 credit card slots. 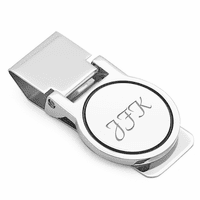 A stainless steel money clip is on the other side for holding 10 to 15 folded bills, and the clip can be engraved with a name or initials for free to add a personal touch! 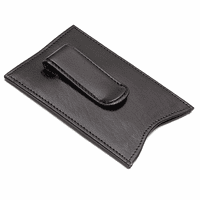 Dimensions: 4 3/4" x 3 1/4" x 1/4"